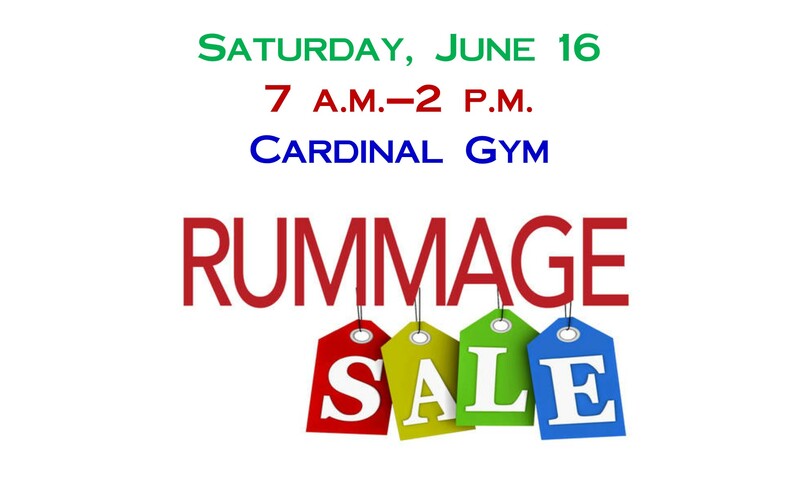 EVERYTHING YOU WANTED TO KNOW ABOUT THE ST. JOHN’S RUMMAGE SALE! Spring cleaning? Set aside items you no longer want to hang onto, and donate them to our annual Rummage Sale! It’s that time of year — while you’re spring cleaning, consider donating some items to our rummage sale! We will begin receiving donations the week of Saturday, June 9 through Friday, June 15 in the St. John’s Cardinal Gym. • helping on the day of the event. Not sure what items appeal to shoppers? Here’s a list!